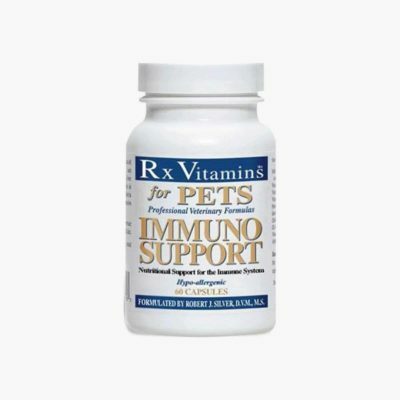 The Rx Renal Canine supplement by Rx Vitamins for Pets is designed to provide you with a scientifically formulated combination of the nutrients, vitamins, and herbs that you can rely on to encourage optimal renal function in your best friend. We all suffer from loss of function as we age. In the human body, the heart is often the weakest organ but in dogs and cats, the kidneys and renal function are often the most susceptible to chronic disease and they are the organs most likely to fail. 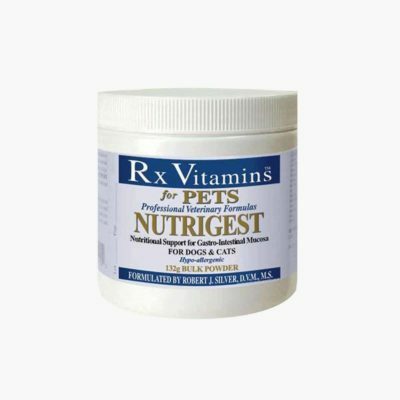 Proper nutritional support to support your dog’s renal system is therefore vital for promoting optimal long-term health and wellbeing. There are a variety of herbs and nutrients that you can give your dog to promote and support healthy kidney function and to support overall health. Milk thistle, Asparagus root, green tea extract, and various other nutritional herbs are often used to support and promote optimal renal and kidney health in canines. For animal use only. Not for human consumption. Keep out of reach of children. In case of accidental overdose, contact a health professional immediately. Never change prescription medications without consulting your veterinarian. Give 1 capsule for each 25 lbs of body weight twice daily.